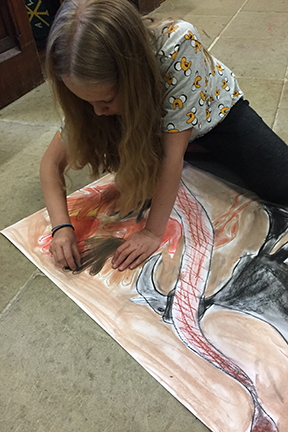 Visits to the Abbey, arranged by MONA LISA Arts & Media, for groups of schoolchildren from the local area, accompanied by two artists. 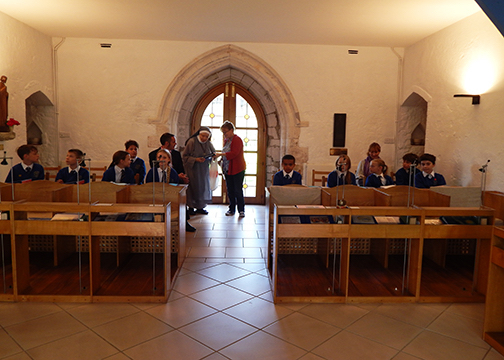 The school children are given the opportunity to explore, experience and learn about the life and history of the Abbey. 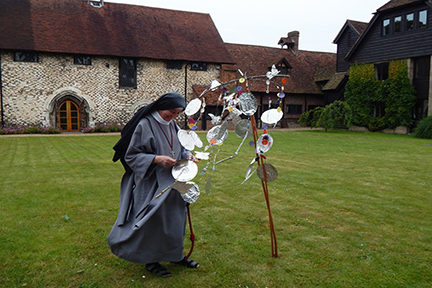 Through art and contemplation they will create artworks inspired by their visit, and, introduction to the Nuns who live and work there. 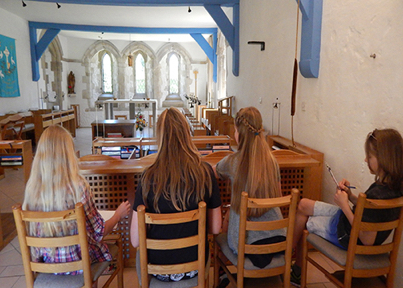 The nuns are an Anglican Contemplative Order, the Society of the Precious Blood. 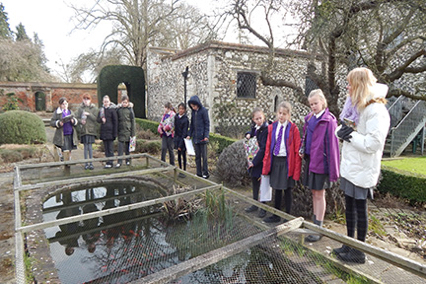 The first school to visit the Abbey is St Nicholas's C of E School Taplow, followed by St Peter's C of E School Burnham, and Eton Wick C of E School after half term. 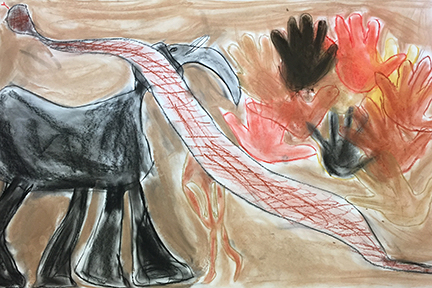 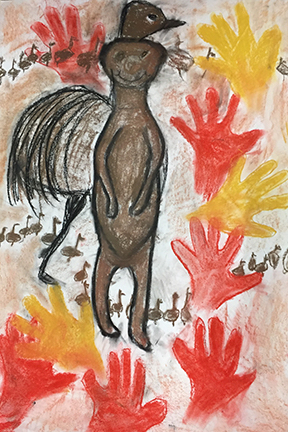 After each visit the two artists, Rhonda Fenwick and Gina Martin will do follow-up work in schools with the pupils to continue the artwork inspired by the visits. 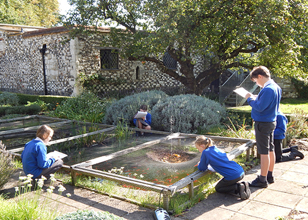 In 2016 they are celebrating 750 years since the Abbey was founded. 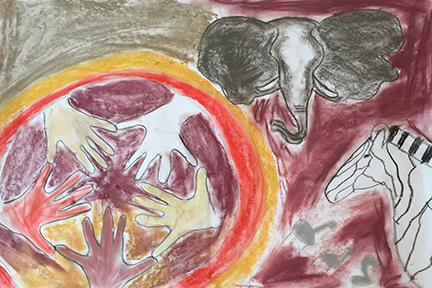 This arts project with schools will be included in the celebrations. 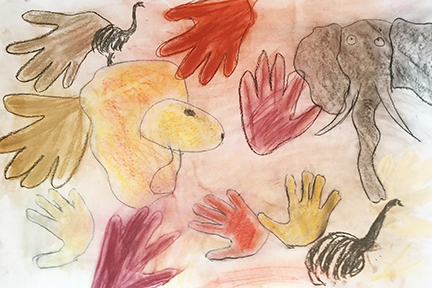 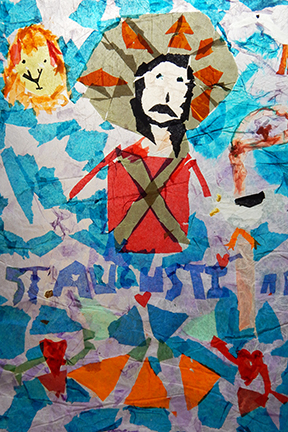 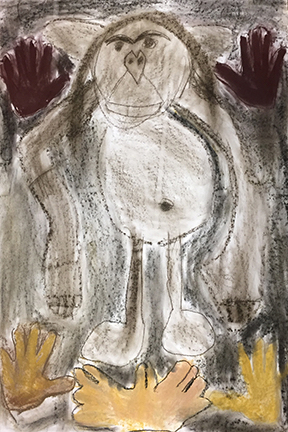 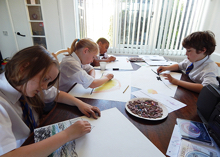 Artworks created by schoolchildren will be displayed as part of an exhibition about the Abbey. 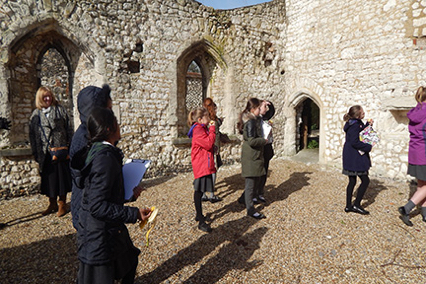 Each school is focussing on a different aspect of the life and history of the Abbey, St Nicholas C of E School looked at the architecture of the Abbey, stained glass windows and life of St Augustine. 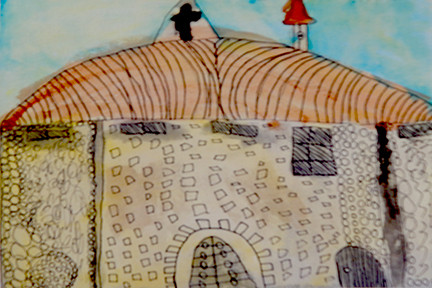 They have created drawings, paintings and stained glass windows collages inspired by the artist John Piper. 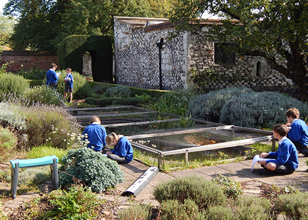 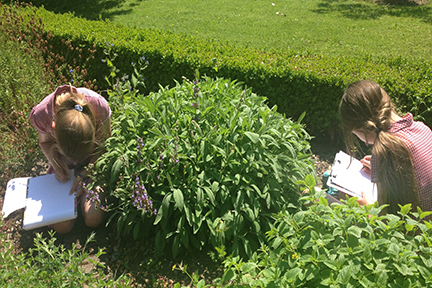 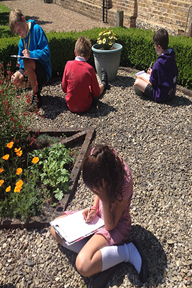 The children from St Peter's C of E School focused on the old infirmary, which is now in ruins, the Abbey herb garden, looking at a variety of plants and herbs growing there. 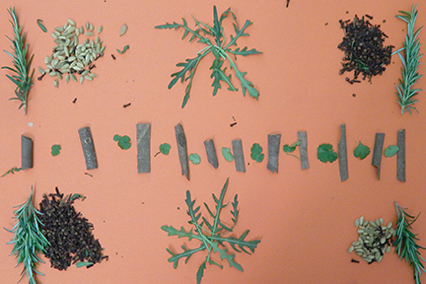 Many of which would have been used for medicine and healing in the 12th century when the Abbey was first established. 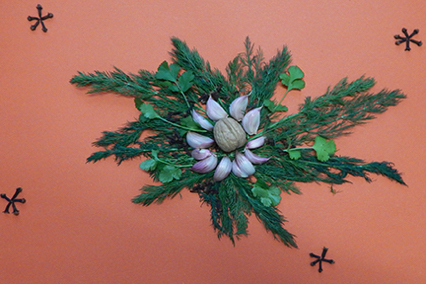 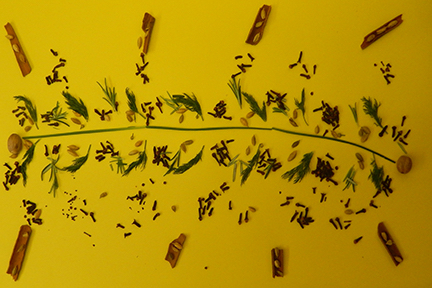 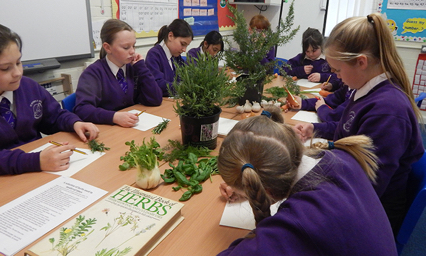 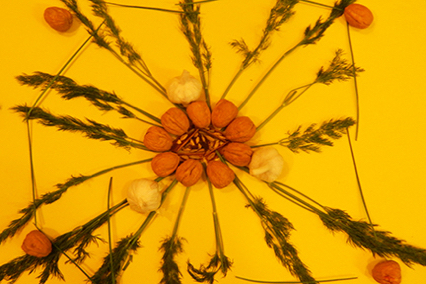 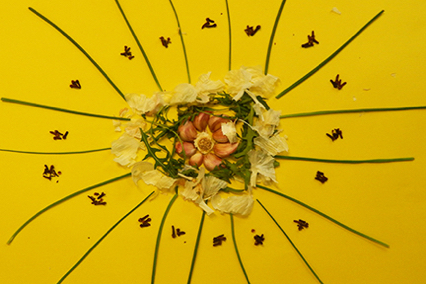 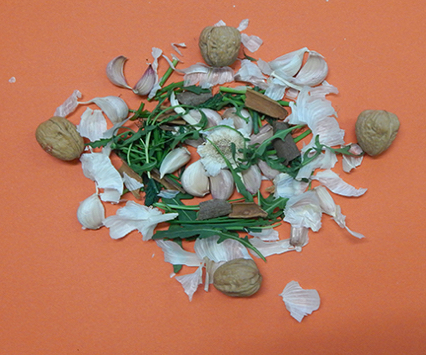 Taking inspiration from Andy Goldsworthy to create images using herbs, plants and seeds. 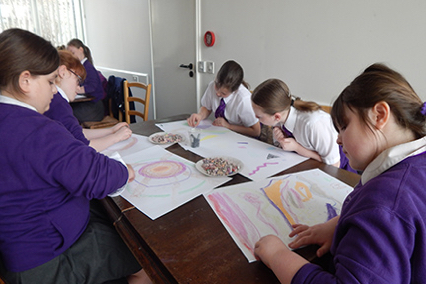 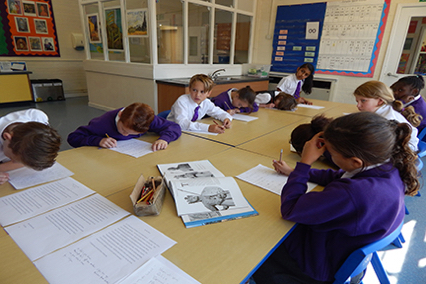 This school group will be creating their own book, Physica, inspired by the works of Hildegard of Bingen a 12th Century nun, mystic and healer. 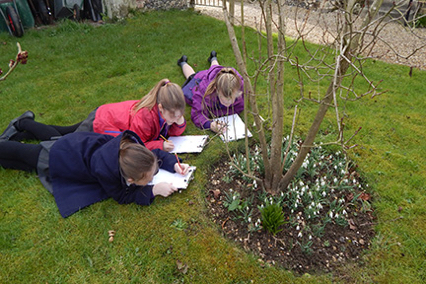 Using similar plants and herbs in her work, for medicine, which many are found in Burnham Abbey's garden today. 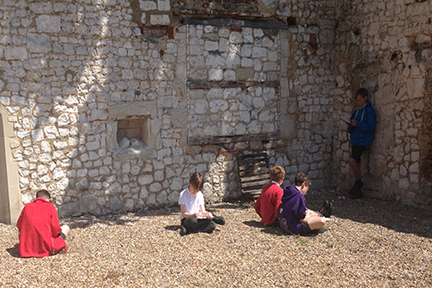 Children from Cookham Dene C of E School visited Burnham Abbey to learn about prayers and symbols of transformation such as butterflies in Christianity. 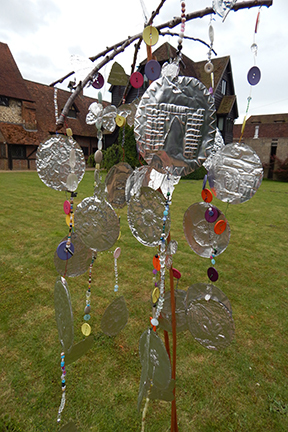 They will be creating a mobile which will include images of butterflies, plants and flowers in the Abbey garden. 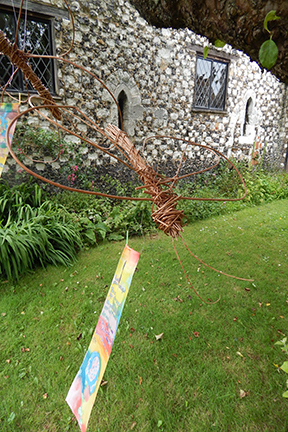 When Rhonda and Gina visit the children in school they will be making butterflies from willow and prayer scrolls made from silk. 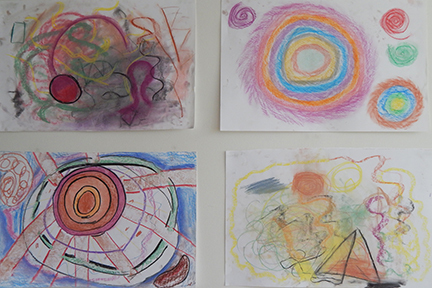 All of these will be included in the forthcoming exhibition in the Abbey at the beginning of July. 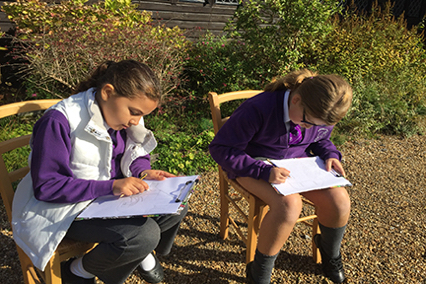 St Peter’s C of E School at Burnham Abbey October 2016 with artists Rhonda Fenwick and Gina Martin, working in collaboration with Hilary Bell RIBA FRSA Consultant Conservation Architect, currently researching the life and times of Richard, Earl of Cornwall at University of Oxford. 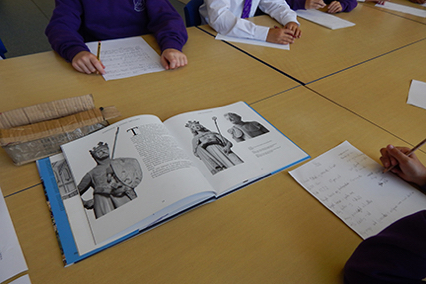 The children will learn about the life of Richard, Earl of Cornwall who founded the Abbey in 1266. 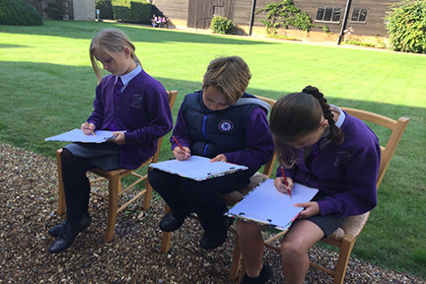 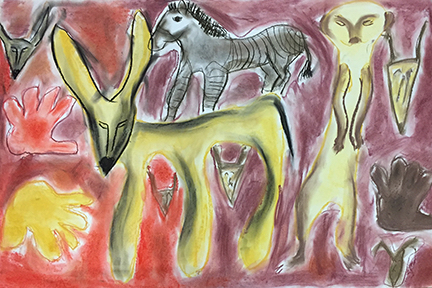 They will create stories and artworks inspired by six aspects of his life which will form the basis of an exhibition in the Barn Room at the Abbey. 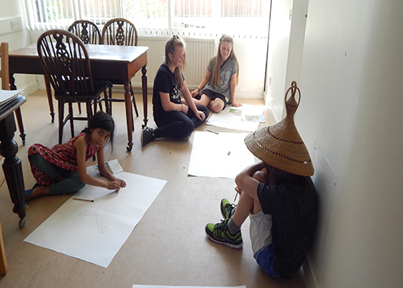 We organised a visit to Burnham Abbey for the Transformers Youth Arts Group to learn about their sister house based in Lesotho South Africa. 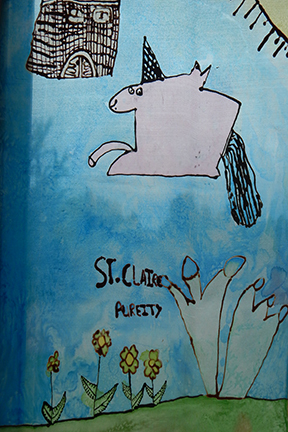 In 1957 a group of five sisters established a priory in the Kingdom of Lesotho, and later in 1966 became an autonomous province of the Order, and also spread (1980) into South Africa. 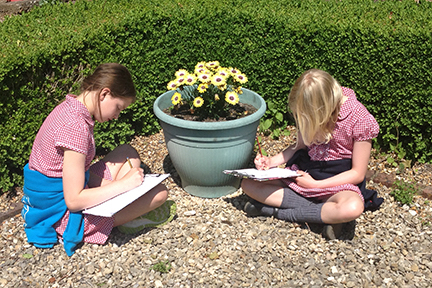 The Transformers spent the afternoon looking around the Abbey and the gardens, creating artworks inspired by their visit. 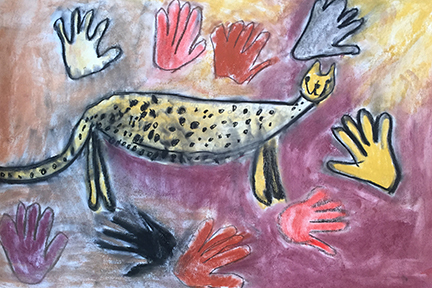 They also learned about African art such as Cave Drawings and will be looking at the culture of Lesotho Blankets which have a long and fascinating history. 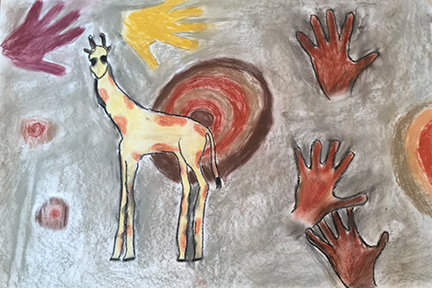 The group will be working with lino cuts to create artworks inspired by the Lesotho Blankets.